Oooooooo. It was so hard not to spoiler this project. But I had made a gentleman’s agreement. So I kept my mouth shut. And my photos off of Flickr. Early this summer, Samantha emailed me to ask if I would be interested in swapping sewing machine covers. She was busy moving into her new home (and her new sewing room) and knew she would miss the deadline of the one she wanted to join on Flickr. Of course. I love Samantha’s work, and I jumped at the chance to have a piece in her new, long-awaited sewing space. 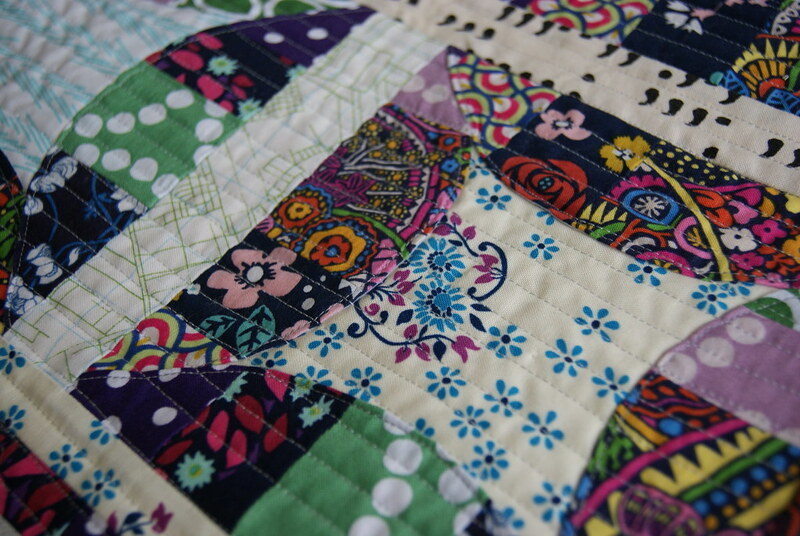 I used some of the bright Liberty Stile I’ve been saving for just the right project–this definitely qualifies! There’s a Tsuru print in there, if you can spy it, and I’m not sure the last project I made without Pearl Bracelets in it. I used the Garden District pattern, written by Corey Yoder of Little Miss Shabby, and published in the book Pillow Pop. Because I worked from stash instead of scrap, I chose to strip-piece the fabrics for the petal segments. This left me with enough leftover “slab” to make the skinny vertical borders, and to piece a little bit of color into the back. I made 8 blocks and laid them out 4 sets of 2, to make a 17”ish by 28”ish machine cover. Then, I used a sewing machine cover tutorial by Randi of i have to say to finish it off and add the binding and ties. I sent it last Friday the 23rd from Massachusetts. It arrived with Samantha in British Columbia, Canada, today, the 28th. Record time! The USPS must have known how badly I wanted to share. It’s beautiful! She’s very lucky. And I agree that was an amazing shipping time! I have waited 3 weeks for things to arrive in Canada! It turned out great! I have made two for gifts and no one for myself yet! Those curves are so pretty!! And of course your fabric choices are fabulous as always. 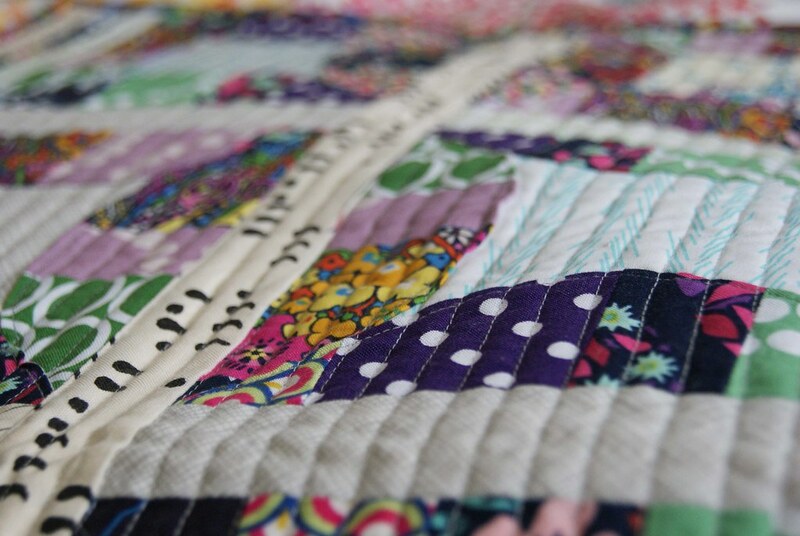 This is just beautiful – it will brighten up her new sewing space no end. You have done a beautiful job. Gorgeous Gorgeous………love the fabrics!!! Thanks for sharing. 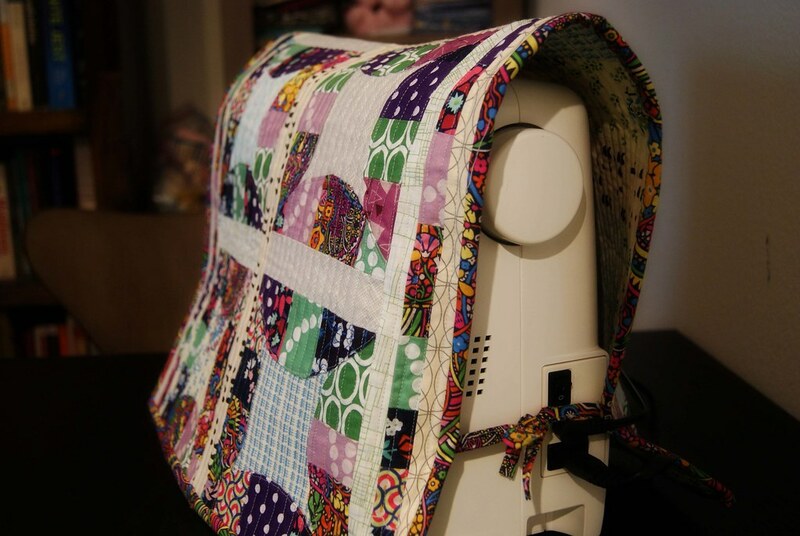 That is sew pretty, I can see why you found it hard to wait, to share! Love the curves and their pieced look. Beautiful job, Laura! Lucky Samantha! OMG the fabric is perfect. I especially love how you choose low volumes to frame your blocks. Looks absolutely lovely!!! And wowee on the shipping time – 5 days to BC from Boston is a record for sure!!! Thanks again! I truly feel spoiled! I still can’t believe how fast it came… amazing! LOVE it!! Fabulous fabric choices, and yeay on the shipping time! That’s great. I LOVE IT! can you hear me? Sweeeet! Love this! 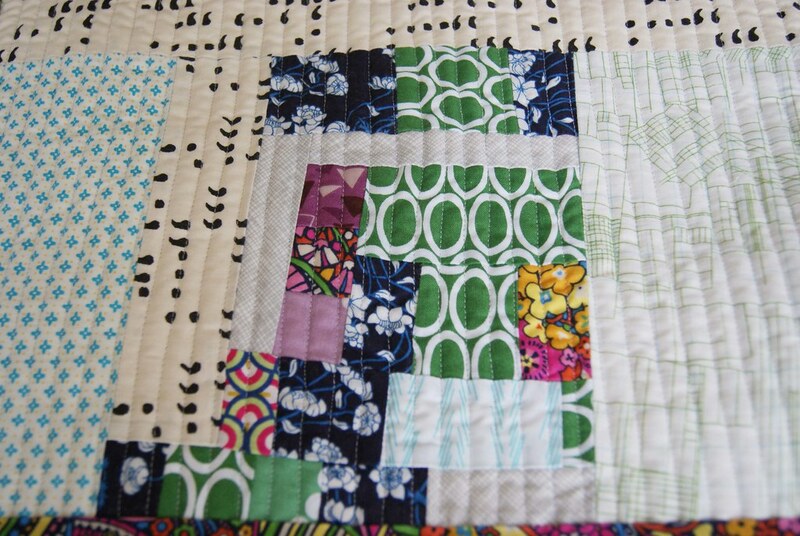 I’ve admired that pattern and this is a great use for it. 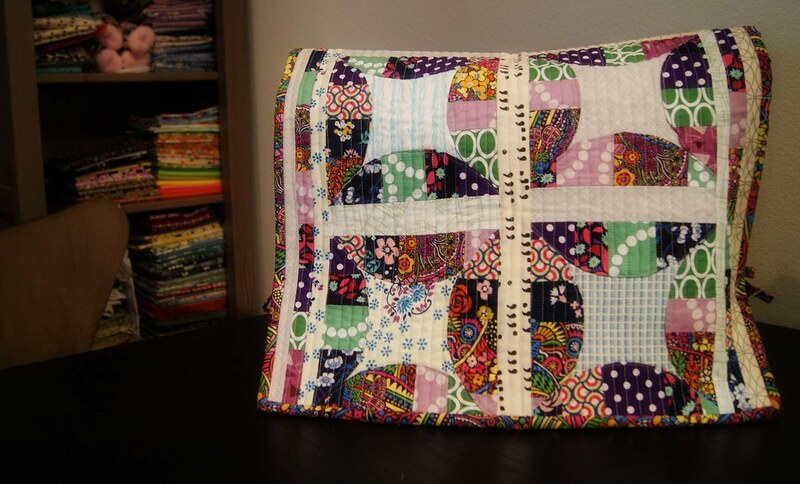 I’m using some of my Liberty Lifestyles on my Penny Sampler and I’m just blown away by how nice that fabric is. I had a red print I washed for safety and it was SO soft afterwards. Anyway, this is indeed a very special project! This is beautiful, the fabrics work so well together! The green and lilac are a perfect contrast to the darker patterns. Fabulous stuff. I love the fabric choices.